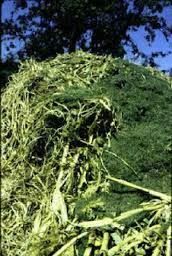 Boyne City has a composting site where City residents can take natural yard debris such as; grass clippings, leaves and brush. It is located on the north side of town at the end of Robinson Street. Recycled Materials - There are wood chips that are produced at the site that are free to City residents. Black dirt is also made onsite and is available to City residents on a limited basis (two 5 gal. pails) for small yard repairs, planter boxes, etc. Illegal dumping of other items and/or removal of more than the allowable materials may result in ticket and fine. These services are for residents living within the City limits. People living outside the city in the townships are prohibited from using the site unless prior arrangements have been made. Please set bagged leaves curbside anytime after the first day of pick up, in biodegradable paper yard waste bags. City crews will pick up bags as time allows. If your bags have been out for an extended period of time and have not been collected, please notify City Hall at 582-6597. Brush will not be picked up curbside, but may be brought to the North Boyne Compost Site. You may haul your own leaves, either bagged in biodegradable bags or unbagged, to the compost site on Robinson Street, open seven days a week for your convenience. They may NOT be left in traditional plastic trash bags. 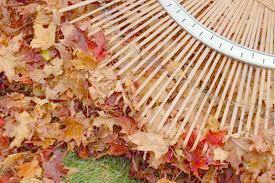 After the scheduled dates, citizen’s will be responsible for their own leaves.